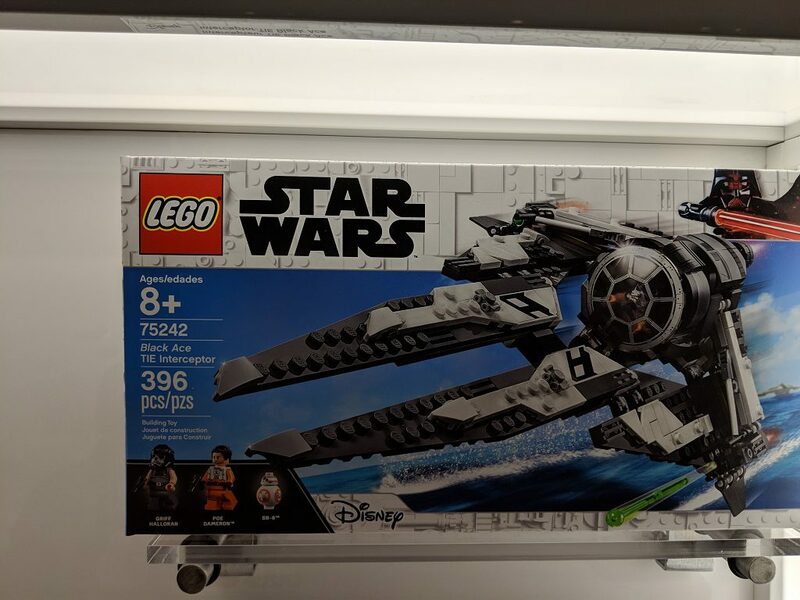 New LEGO Star Wars sets are being revealed in New York, including 75240 Major Vonreg’s TIE Fighter and and 75242 Black Ace TIE Interceptor from the animated series Resistance. 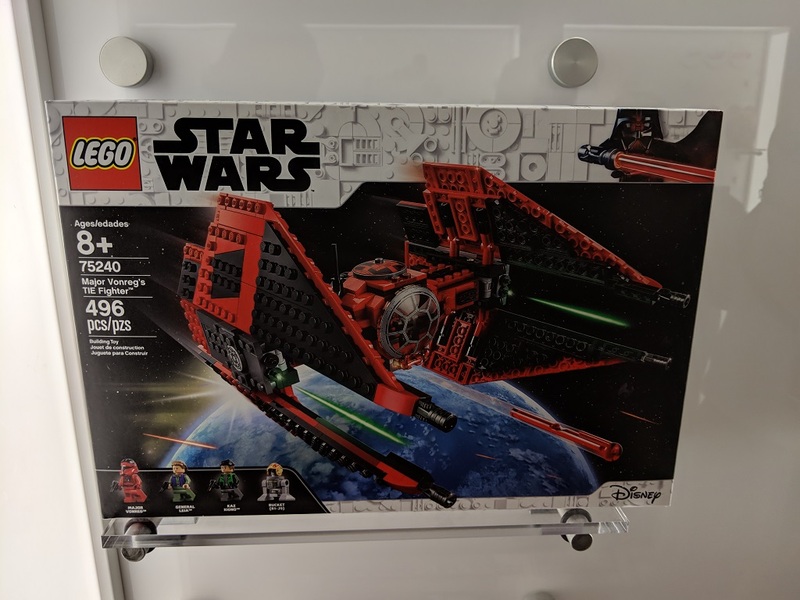 Star Wars Resistance is finally going to get some LEGO Star Wars sets, beginning with 75240 Major Vonreg’s TIE Fighter. 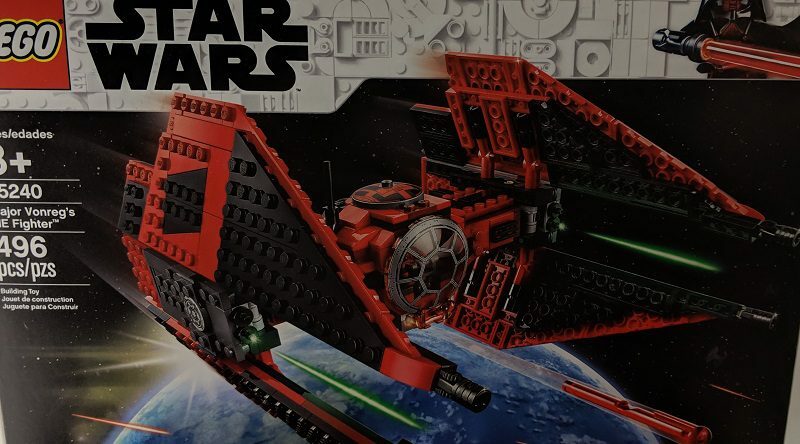 This new version of the classic ship features striking red to go with the traditional black colour, while following what looks to be quite a standard TIE Interceptor build. Zusammengebaut has shared images of the new sets from New York Toy Fair, which kicked off today with a LEGO showcase. The set includes a selection of Resistance characters, including General Leia, Major Vonreg, Kaz and Bucket. It uses 496 pieces to put the starfighter together. A second set based on Star Wars Resistance is 75242 Black Ace TIE Interceptor, which to confuse matters looks nothing like a TIE Interceptor. This unusual design has the usual TIE cockpit with unique wings, and includes Poe Dameron, BB-8 and Griff. It is 396 piece set. 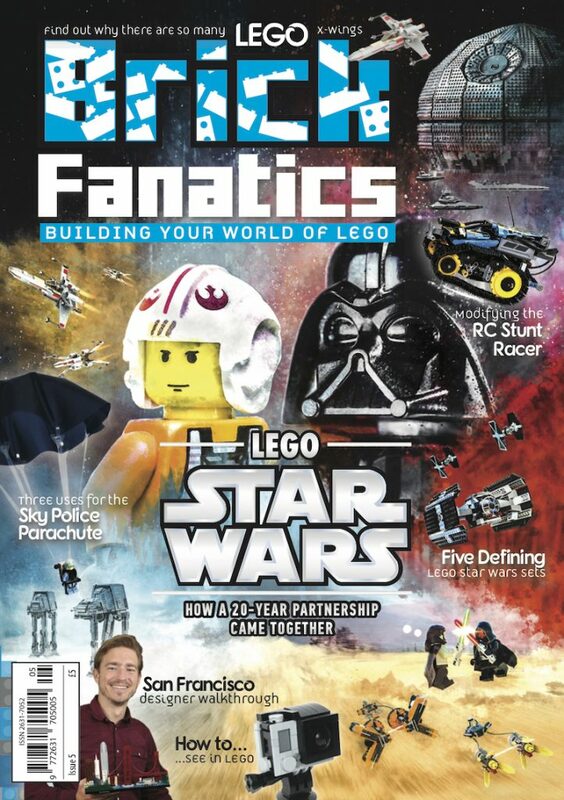 LEGO Star Wars 75236 Duel on Starkiller Base and the 20th anniversary sets have already been revealed, with all of this new releases expected on April 1.